During an Arc System Works stream last night, the company released another trailer for BlazBlue Cross Tag Battle, titled “BlazBlue Cross Tag Battle Character Introduction Trailer #3”. In the style of the previous two, this new trailer introduces three new characters for the fighting game, as well as a hint at when the next set of reveals will come. The trailer starts with main BlazBlue heroine Noel Vermillion, before continuing on to Persona 4’s Chie Satonaka, and ending by showing the game’s first grappler with Under Night In-Birth’s Waldstein. As is the trend for these character reveal trailers, it shows off some gameplay for each new character, and returning players will recognize some moves from each. 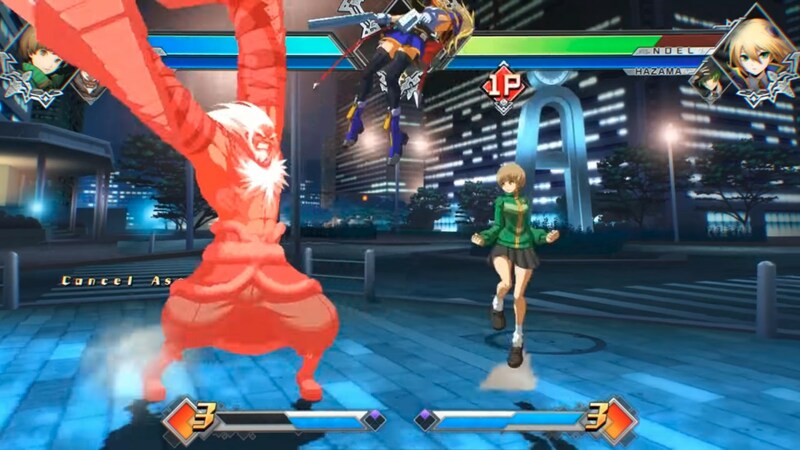 Many of Noel’s moves, including one of her Distortion Drives, returns, Chie uses her Persona Tomoe, and Waldstein is seen using his Infinite Worth and some other familiar moves. The end of the trailer teases when the next set of reveals will come, during the next monthly “ArcNama” livestream in late November. The game will be playable at Arc Revolution Cup in Japan this weekend, and is set for release on PS4, Switch and Steam in 2018.